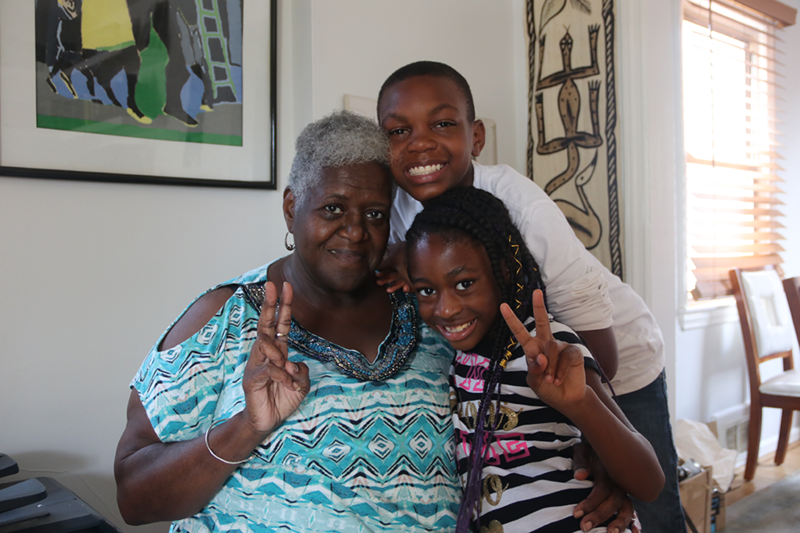 Cassandra Gentry, 66, pictured with two of her grandchildren she's currently raising. WASHINGTON — Grandparents are known for giving love, knowledge, gifts and being caretakers of their grandchildren. Sometimes, their role can be overshadowed.But recently, they recieved recognition from Congress and a community housing group. President Trump signed the Grandparents Raising Grandchildren Act late June. The act was first introduced to Congress by Republican Senator, Susan Collins. “Throughout history, grandparents have stepped in to provide safe and secure homes to their grandchildren, replacing traumatic pasts with loving and hopeful futures,” said Senator Collins. The bill will create an advisory council to help find resources for grandparents through a “one-stop shop for information.” It is likely that the this source of information will be found on a website. “It’s a lot of granparents that don’t even know about the resources that’s out here for them,” said Ms. Gentry. Cassandra Gentry, 66, has been raising her grandchildren for the last 26 years. She is currently raising one grandchild and one great grandchild in one of her son’s homes. She recently moved to the DC area because she has Lupus and her son thought it would be best for her to be closer to family. There are a lot of untapped resources that grandparents don’t know about and members of Congress like Sen. Collins believe this portal of information would be helpful. For some, this website isn’t enough to intenionally provide the needs of grandfamilies. “I think just providing information is good but not good enough,” said Elizabeth Everhart, Senior Project Executive of Mission First Housing Group. Mission First Housing is a family nonprofit organization that ensures everyone has a safe, affordable place to call home. They began a project last year in partnership with Bible Way Church to provide one of many affordable housing developments and programming for communities. The 223 unit high-rise apartment building located at 4th and K streets Northwest will be home to 50 grandfamilies, including Ms. Gentry.